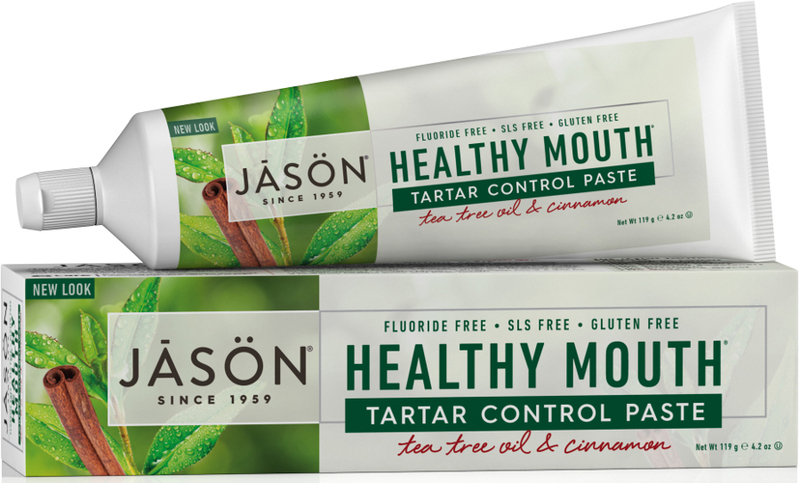 An all-natural fluoride free toothpaste formula containing tea tree oil for antimicrobial and antibacterial cleansing. Natural grapefruit seed and perilla seed extracts help reduce the build up of tartare while breath is freshened with mint, tea tree oil and cinnamon. Aloe vera gel soothes gums. No sodium lauryl/laureth sulfates, no preservatives, no artificial colours, no artificial sweeteners, no saccharin, no propylene glycol, no gluten. 122g. 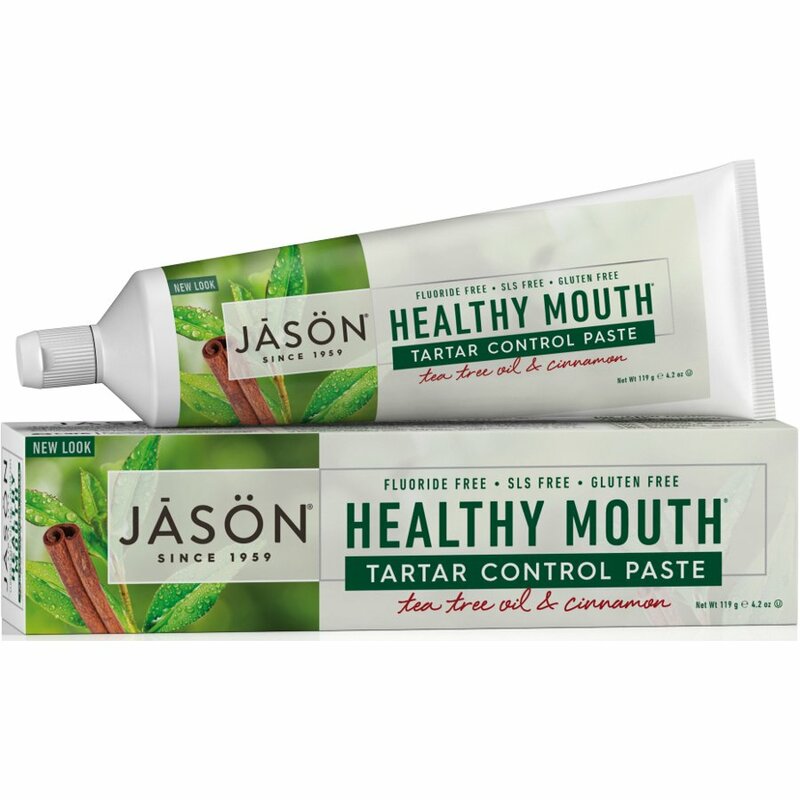 There are currently no questions to display about Jason Healthy Mouth Antiplaque & Tartar Control Toothpaste - 122g.